This afternoon I had the honor of attending Shelley St. Jean’s commencement from Southern New Hampshire University. I listened to the keynote speaker Bob Ryan, the Boston Globe sports columnist. He told the graduating class of 2013 their diploma in life and life owes them nothing. It is their responsibility to take each and make something of them. This is so true about our Grange. Our Grange owes us nothing. It is our responsibility as individual members to take our Grange and make something of it. Like a college degree if we do nothing with it, it is merely a piece of paper. If a Grange does nothing, the charter is merely a piece of paper. In life to succeed it takes great work. Our Granges require great attention and unity by all to succeed. There are many facets required for a healthy Grange. It must have good leadership. It must have a solid membership base. We must, at all times, be serving our communities by having a consistent presence. By serving our community our Granges become a living, breathing, real organization. One that offers an environment of growth, success, and a healthy future. I imagine these young men and women today believe there is nothing they will not be able to accomplish. This is the greatest day in their lives to this point. We must get to the point where every Grange in this state and across the nation believes there is nothing they cannot accomplish for their members or their community. The lessons of our Fifth Degree are brought more forcibly to my mind for these college graduates and for our Granges, HOPE and PERSEVERE. I wish every Grange member and every Grange the most success in the balance of this Grange year. Don’t be afraid to step out of your comfort zones. Don’t be afraid to challenge your membership and leadership to try something new. Our founders did that very thing. We would not be here, 146 years later without their courage, their determination and their foresight. 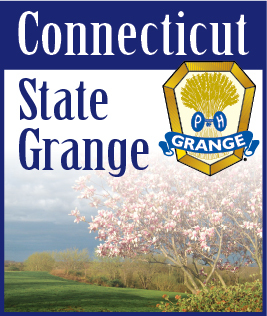 It is our job as members of the Grange today to do what they did in 1867 to ensure 146 years from now that there is still a Grange in every state, in every community in this country. Never be discouraged, hope and persevere.